Prom make-up including trial beforehand, and shape and paint on fingernails and toenails. 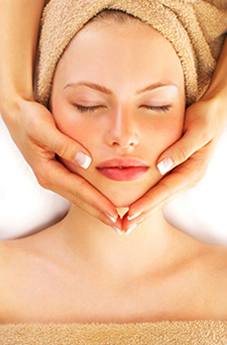 Prescriptive facial, back and shoulder massage, and luxury pedicure. Half leg, bikini line, under arm and eyebrow wax, eyelash tint, file and polish on fingernails and toenails. Bridal make-up including trial beforehand, and shape and paint on fingernails and toenails. Fingernails or toenails painted, make-up (eyes, lips and cheeks), and mini glitter tattoo. Mini facial, mini backmassage, fingernals or toenails painted, and mini glitter tattoo. Rebalancing facial, mens manicure and pedicure, back and shoulder massage.